When you are looking for a new physician, how do you find one? Most of us ask our friends and family to find a doctor we can trust. These referrals are weighed more heavily than a Yelp review or a billboard on the side of the road. But why do we trust our friends? Generally, we trust what we have grown up to know and believe, and our collective experiences matter. Just like in the U.S., finding a good doctor is an important for a Congolese family, but the ways to find one is a bit different. In Congo, over 250 tribes consider traditional medicine part of their heritage. Traditional healers focus on the sickness and products to treat it, or rely on rituals and worship of spirits, gods, and ancestors. Though some traditions have been lost, seeing a healer is still common and many families have connections to healers they have trusted for generations. Some traditional healers in the Congo are incorporating modern medical training they received from other Congolese or Western doctors and nurses. They may also refer patients to clinics, too. However, stigma still exists because medical personnel at clinics and hospitals are typically young, speak differently, and may feel suspicious to locals. But when Congolese families have a personal relationship with a physician, or a family member works at a clinic, this aids in trust. Medical treatment is often decided upon relationships rather than what hospital to go to. Cost is definitely another factor. Hospitals have typically been too expensive, and up-front costs of consultations, materials, and medicine are often deterrents. Therefore, traditional methods may be preferred because prices can be negotiated. Other hurdles include proximity and reputation. Most clinics are more accessible to the majority of the Congolese population, except those in rural areas. Many clinics have experienced low medical supplies, theft, scandal, and malpractice, which also affect healthcare decisions. Although we believe that modern medicine offers many effective, live-saving treatments, we have seen legitimacy in traditional methods of healing. Many Congolese have the same thought. This is one of the exciting reasons why we are continuing to support the healthcare initiatives in the Congo. We provide partners with access to medicines, supplies, training, staff management, and salary. Developing the infrastructure and reputation also aids in the ability to make an impact on the social perceptions of healthcare. This is why the Congo Clinic Initiative is so important. We hope as we collaborate with our partners to provide access to medicines, medical supplies, training, staff management, and salary, the infrastructure will impact the social perceptions of the healthcare system in Congo. As more Congolese are trained and train others, the system grows and relationships are established. 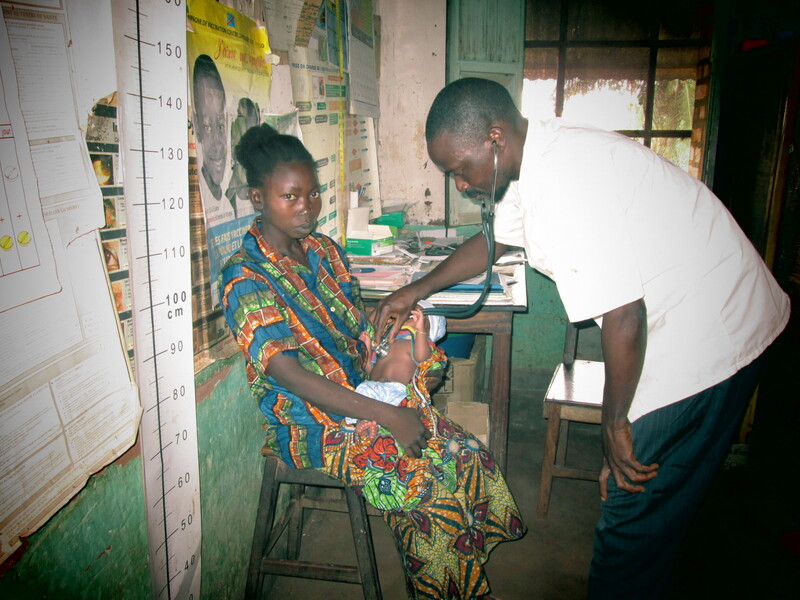 Join the Clinic Initiative and help Congolese families overcome these hurdles to healthcare. Contact us to learn more. Posted in Congo Clinic Initiative, Congo health, Medical Ambassadors, PCP Update.